The fully-faired Hero Xtreme 200R will get the same engine and cycle parts as the naked version, but will also get a couple of new features including an all-digital instrument cluster and LED headlamps. Hero MotoCorp will be launching a new fully-faired motorcycle soon! 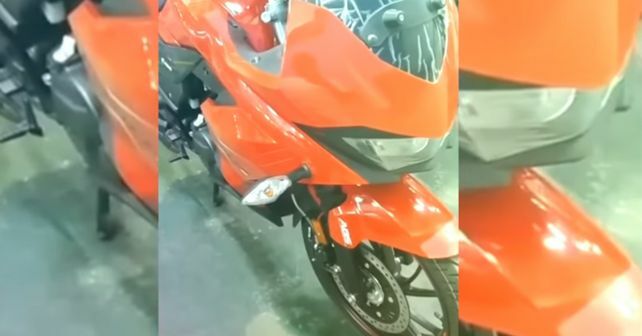 The pictures of this new product have already surfaced online, but we can now confirm that it’s essentially an Xtreme 200R with a faired bodywork. The full-faired version of the Xtreme 200R is expected to go on sale by June or July 2019, as per our sources. The underpinnings of the faired version will remain identical to the Xtreme 200R, except for the bodywork, of course. Apart from the obvious inclusion of a fairing though, the new version also gets a couple of new features – there's a new all-digital instrument cluster and full LED headlamps as opposed to a halogen setup of the naked version. On the mechanical front, it’s going to come powered by the same air-cooled 199.6cc single-cylinder engine that powers the Xtreme 200R. The engine develops 18.2bhp at 8,000rpm and 17.1Nm at 6,500rpm and will come mated to a five-speed gearbox. Apart from the engine, other cycle parts like the suspension, tyres and brakes are going to be the same as the Xtreme 200R as well. ABS will come as a standard fit. Expect it to weigh slightly more than the Xtreme 200R (148kg) though. As for its pricing, expect it to command a premium of around Rs 15,000 over the Xtreme 200R – which is priced at Rs 89,900 (ex-showroom, Delhi). It won’t have a direct rival at that price, but the Suzuki Gixxer SF will be a worthy rival.